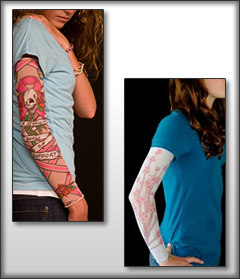 If you have never tried lymphedema arm sleeves to help relieve pressure and pain then you need to try our compression sleeves that are designed especially for what you need specifically. Once you have spoken with your physician about what your individual needs are then it is time to either give us a call or view the selection of products we have online that you can choose from. One of the best things about our store is that it is always open and ready for people to make purchases so that you can order any time you like and have items delivered within a few short days. Our ultimate goal is to help woman of all ages realize that they can have some level of healing and restore their self-image by trying post mastectomy products and begin to live the life that they once led. Using lymphedema arm sleeves is a big step to helping you reduce pain and discomfort while starting to give you a reason to get back out in the world and enjoy the things that you once did. In addition to our lymphedema arm sleeve selection we have mastectomy bras, breast forms, and even mastectomy swimwear that will work perfectly with the breast forms that you already have. For any questions you may have feel free to contact us via email or give us a call and we will be glad to answer questions regarding our products. There is someone by your side during this tough life experience. At Woman’s Personal Health we would like you to know that you are not alone and when you need help from the best products on the market, we are the place you can trust. Browse our store today and find items to jumpstart the path back to your amazing life!